Tag Archive | "Investing In Government Bonds"
Today we’re going to revisit the basics of the bond market. Bonds are issued by companies and government entities in order to finance their operations. They are a form of debt, contrasted with stocks which are a form of equity (though some bonds can be converted into equity in a company, these are called convertible bonds). Bonds are generally underwritten and issued on primary markets for companies. For governments they are usually issued at auction to both banks and individuals. Bonds have a par value at issuance and pay an interest rate called a coupon. They can be redeemed at maturity date. There are many factors that influence how much a bond will be worth. Perhaps the most important factor is the market interest rates. Bonds are usually issued with fixed interest rates so when market interest rates increase, the price of bonds will decrease. The most basic way to measure bond performance is to calculate its yield: Yield = coupon amount / price. So for a $500 par value bond with a maturity date of 10 years and a coupon rate of 5%, its total coupon amount will be $25: 5% yield = $25 coupon value / $500 price. Decrease the price to $400 and the yield increases to 6.25%, increase the bond price to $600 and the yield drops to 4.17%. Another dynamic to consider when buying bonds is their credit rating. US Government bonds usually carry a lower yield as they carry some of the lowest risk of default and investors are attracted by their security. Bonds with higher yields are often issued by companies and governments with troubled financials in order to attract investors; these bonds are called junk bonds. Credit rating agencies like Standard & Poors and Moody’s allow investors to check the health of bond issuers. Treasury Notes – Matures in 1-10 years. Treasury Bonds – Matures in 10 years. Municipality bonds, or muni bonds are bonds that carry a slightly higher risk but are still unlikely to default, as they are issued by cities and towns: Governments are able to adjust their taxes to pay back bonds. Many muni bonds are also completely tax-free which can be a great incentive for some investors. Finally corporate bonds are the highest risk category and it’s important to check the credit rating and financials of the company issuing these before considering purchasing. Zero-coupon bonds should also be of mention. It’s possible for bonds to be issued without a coupon that is paid annually or semi-annually. The most well-known kind of zero-coupon bond are Series EE Savings Bonds. Instead of the Treasury paying coupon rate, these bonds are sold at a 50% discount and accrue interest that can be redeemed along with the par value on or after the maturity date. There are even some rare bonds on the market which pay a coupon but do not mature. Finally, it’s possible for the coupons and the par value of bonds to trade separately. Why Bother With The Bond Market? The first thing early investors often look to invest in is the stock market, but the bond market is just as important in a balanced portfolio. During a bull market, stocks generally outperform bonds and can deliver staggering returns. However, during a bear market, bonds are often seen as a safe haven to make a predictable return on investment. Bonds usually perform well when looked at as a long term investment. Since the fallout from the 2008 financial crisis, the bond markets have been highly active in part due to the fiscal policy adopted by the Federal Reserve. We’ve reported before that the bond market can also be incredibly risky in this economy. Recent statements by the Federal Reserve chairman have caused the markets to turn and many investors are now exiting on concerns that the Fed will stop quantitative easing and/or raise interest rates. It’s unlikely that the Fed will be able to keep up its bond purchase programs indefinitely and the bond market could be the next bubble to burst. Indeed already the US Treasury yields have been on a steady climb. Most bonds are purchased through a broker. Most brokers require investors to keep a deposit with them in order to purchase bonds on the market. Be sure if using a broker to background check them at BrokerCheck to be sure of the legitimacy of the broker you’re working with. The US Treasury also now sells bonds directly through their own Treasury Direct website. Finally, it’s also possible to trade pools of bonds using various ETF’s to take advantage of leveraging and play on when the yields are going to move. Stay up to date on the latest stock news by getting on our FREE eMail list! Investing In Government Bonds, in particular United States Treasury Bonds, is a “safe haven” investment that investors have relied on for years to provide steady returns on investment in the form of periodic interest payments by the United States government. Investing In Government Bonds in the form of United States Treasury Bonds is considered a “safe haven” investment because regardless of the state of the economy, the United States government is viewed as an entity that can be relied upon to make interest payments on their debts. There are a number of different types of government bonds to consider, from United States Treasury Bonds issued by the federal government to Municipal Bonds, which include bonds issued by local, county, and state governments. Interest earned from United States Treasury Bonds is not usually taxed on a local or state level, but is subject to federal taxation. Interest earned from Municipal Bonds is not subject to local, state, or federal taxation, which make municipal bonds appealing to investors looking for a tax haven. The United States Treasury sells government bonds with a variety of maturity periods, ranging from three months to thirty years. The interest rate paid to investors holding United States Treasury Bonds is determined during the initial auction of the bonds; the longer the maturity, the higher the interest rate. For example, the popular 2-year, 10-year, and 30-year United States Treasury Bonds currently provide annual interest rates of 0.35%, 2,80%, and 4.12% respectively. On a historical basis, the interest rates paid on United States Treasury Bonds are currently very low, and the bonds are selling at elevated levels. This is due to the 2008 financial crisis and subsequent severe recession and slow economic recovery, which has resulted in an enormous demand for United States Treasury Bonds from investors seeking a safe place to invest their money. 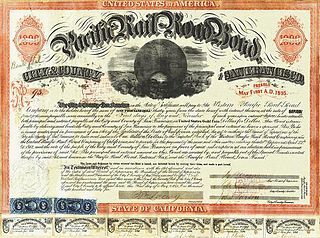 Investors who are interested in Investing In Government Bonds should take this into consideration because when the United States economy returns to a healthy condition, the value of United States Treasury Bonds that are brought at currently elevated levels will likely fall, as demand subsides and investors sell government issued bonds to seek out higher investment returns elsewhere, such as via the stock market. This would cause a loss of investment principal for investors who invest in government bonds at currently elevated levels. The 2008 financial crisis had a much different effect on Municipal Bonds than United States Treasury Bonds, which needs to be understood by those considering Investing In Government Bonds. With local, county, and state governments reeling from the financial crisis, housing market meltdown, and the severe recession that followed, concerns have been raised about the ability of local, county, and state governments to make interest payments on the Municipal Bonds that they have issued, raising the possibility of large scale defaults in Municipal Bonds. This has caused investors to sell their holdings in Municipal Bonds, which has caused Municipal Bonds to lose 10% to 20% of their value. Unlike United States Treasury Bonds that are currently overvalued on a historical basis, Municipal Bonds are currently undervalued on a historical basis, which makes them attractive to investors looking to protect their principal investment. Municipal Bonds are still at risk of widespread defaults, should the United States economy fall back into a recession in the near future. But if the United States economy recovers, Municipal Bonds could appreciate nicely in price as they pay out tax free interest payments to the holders of the bonds. For more information about Municipal Bonds, see: Municipal Bonds Offer a Safe Way to Earn Tax Free Income. Since 2011 is a year in which a slow economic recovery is occurring after a severe recession, Investing In Government Bonds has a number of risks and opportunities that are not normally present in the government bond market. However Investing In Government Bonds is still be viewed as one of the safest ways to invest money.